As advised by Medical Professionals we would like to share some valuable information which shall be very helpful to all patients who start getting early symptoms of Dengue, but can be helpful in maintainance without cause for undue alarm. 1. Once infection occurs, one can get fever within 1- 7 days. 2. Fever, usually high, comes daily for 4-5 days.This time is troublesome due to fever & body aches. At this time, patient should be given lots of fluids, water, juice, cold drinks, tea, milk or soup any thing can be given. Just keep patient well hydrated. One simple way is to see tongue. It should appear wet.Also patient should pass adequate urine. Some people will not be able to drink adequate fluids , due to vomiting, pain abd, or just apathy for any thing orally. If patient can’t take enough orally, and his urine output is getting less & lesser, this is an indication that patient should be admitted for intravenous fluids. Pl take him to nearby hospital. One important thing to remember is , the blood test should be done early in the fever, but rather than PLT count, at the fever stage we should see HB level. It should be within normal basal limit of that patient. If u find HB is high , it is a danger sign, even if PLT count is normal. Most of people including doctors wait for PLT count to fall, & keep waiting, telling patient not to worry as PLT count is normal. But this is wrong. Recent rise of HB should not be overlooked. If it is 14 or more , we need to give fluids very rapidly, oral as well as i.v. to bring down HB level to basal level. So do not wait for PLT count to fall, take action when HB has gone up, even when PLT are in normal range. Next stage starts when fever becomes normal. At this stage, patient feels better, but PLT count is likely to progressively go down. Still, we need not worry due to falling PLT count. A count upto 10,000 is certainly safe, unless patient has active bleeding. There is no role of PLT transfusions in a patient, who has no active bleeding. So pl do not insist for PLT transfusions in the absence of bleeding. 1. Once patient has fever, start plenty oral fluids, ( appx. 3-4 litres in an adult,& proportionate in children). 2. Give Paracetamol for fever. No aspirin/ brufen/ numulid etc. 3. Monitor for breathless during this period, especially when patient does not have fever. If patient complains of breathless ness, when he is afebrile, take him to a doctor. This is important symptom & indicates SEVERE infection, Iikely to worsen. DO NOT OVERLOOK BREATHLESSNESS, especially WHEN patient DOES NOT HAVE FEVER. 4. Once fever settles, this is the time when PLT count will fall further. But do not panic, most PTS will recover without complications, just be in touch with a doctor. 5. 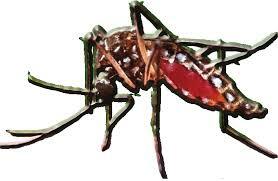 With best wishes for a dengue free India.